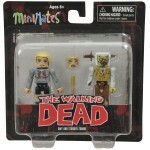 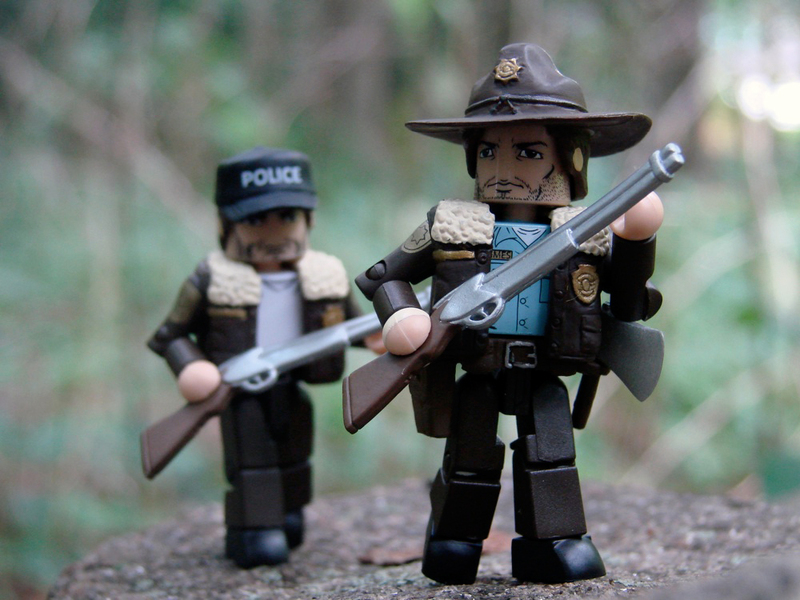 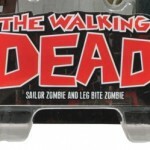 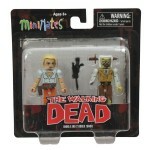 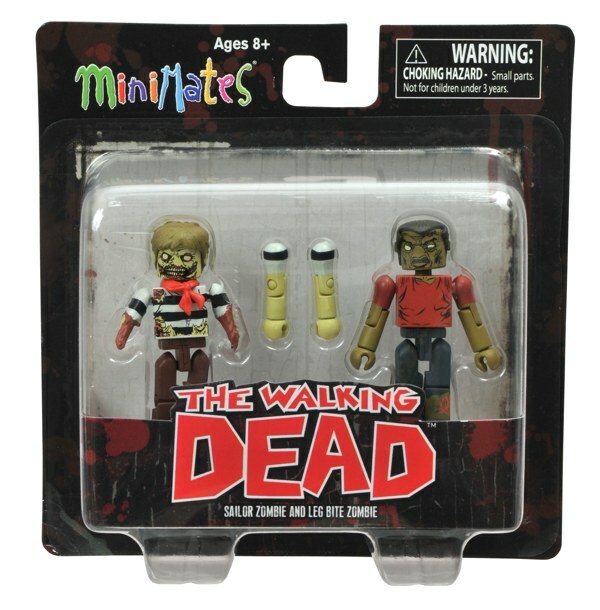 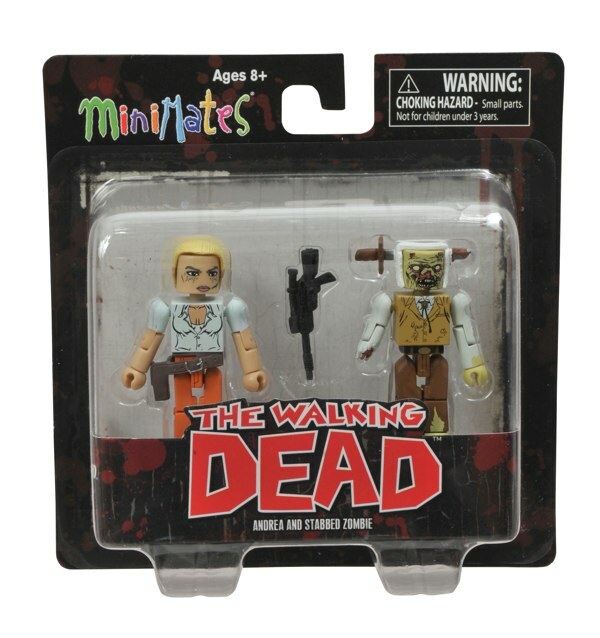 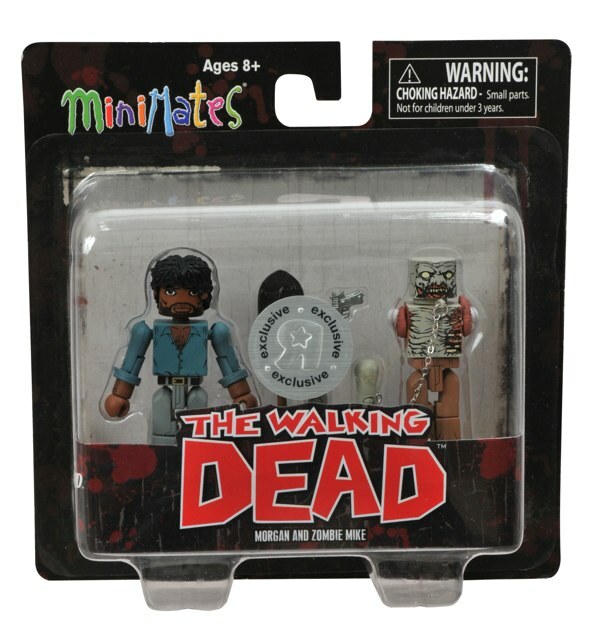 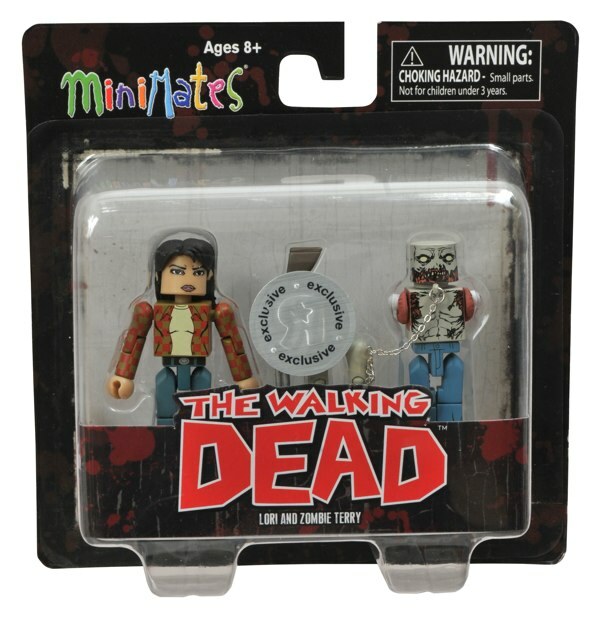 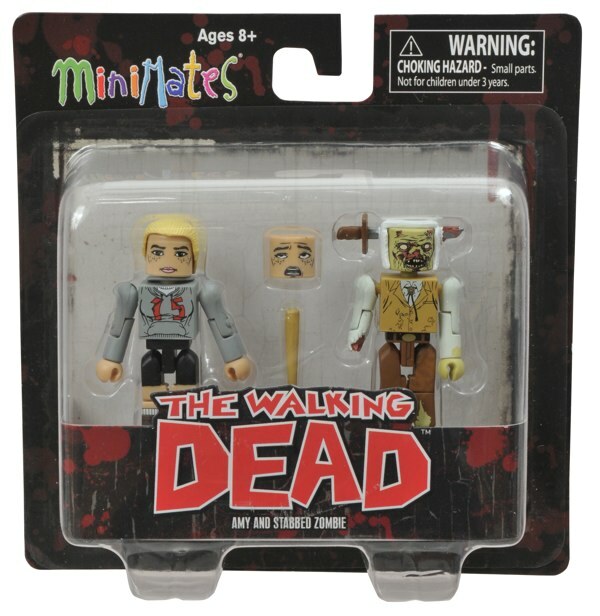 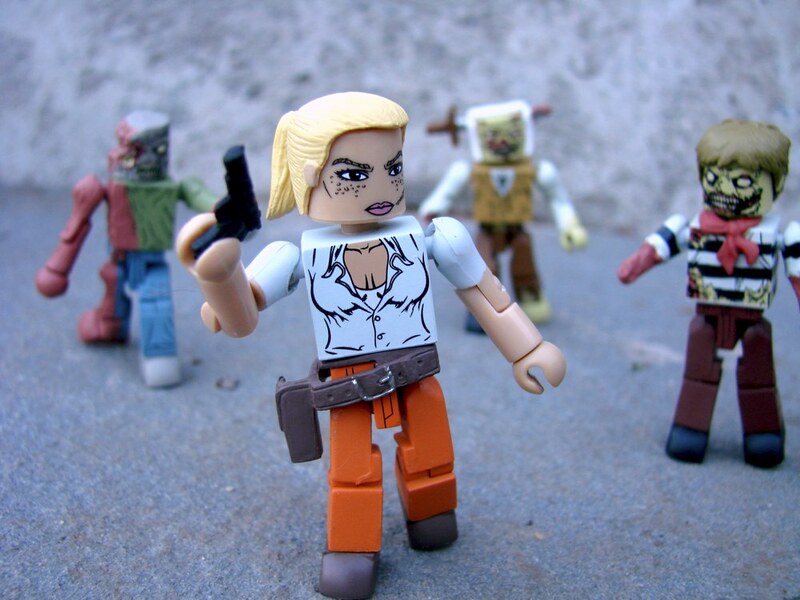 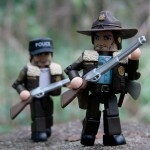 The Walking Dead Minimates Series 2, based on the hit comic book by Robert Kirkman, will arrive later this month from Diamond Select Toys, and we’ve got packaged pictures of the entire assortment! 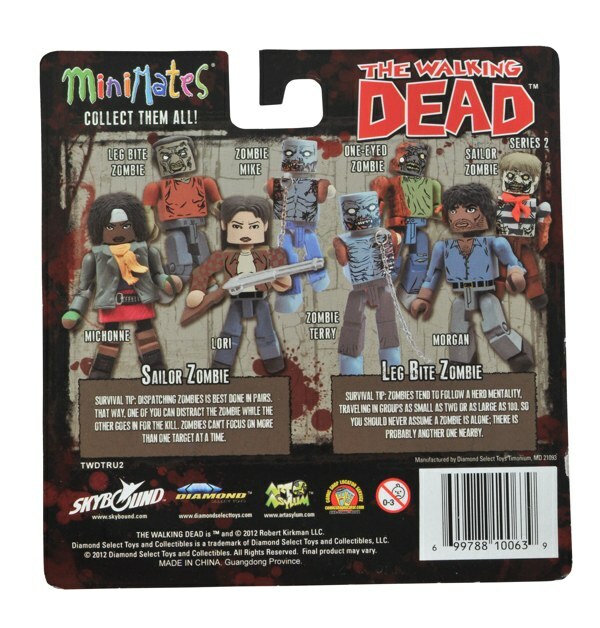 Andrea and her sister Amy will only be at comic shops and specialty stores, while Lori and Morgan will only be at Toys “R” Us and toysrus.com. 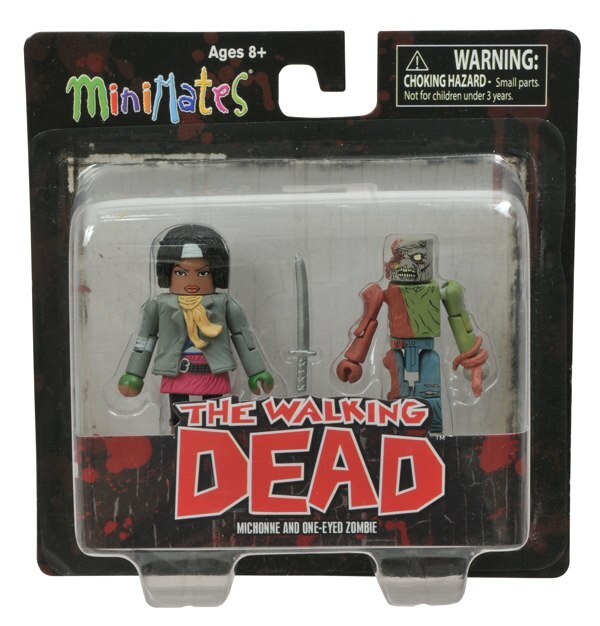 Shared between both markets will be a two-pack of zombies and the sword-wielding Michonne! 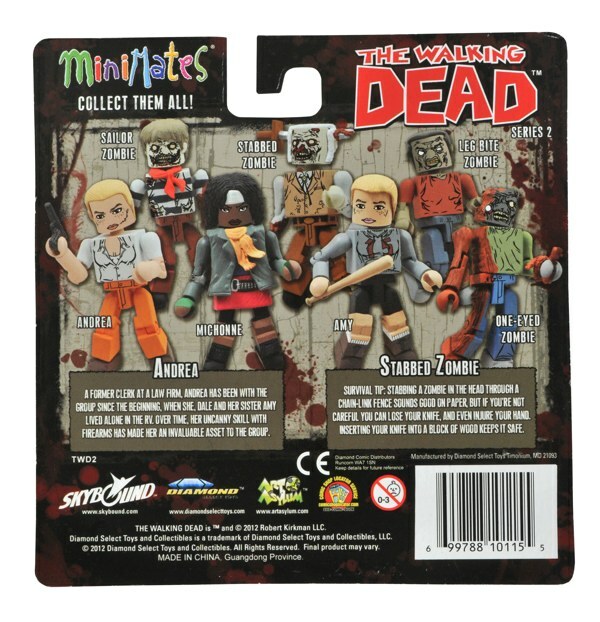 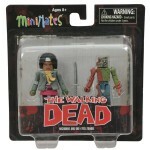 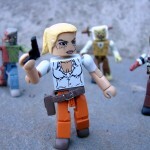 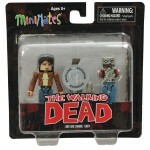 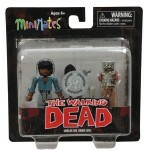 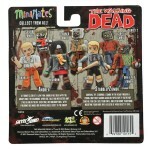 Each Minimate is 2 inches tall and comes with multiple interchangeable parts and accessories. 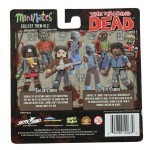 Check out the packaged pics below, then reserve your set at your local comic shop!